Sleep is a third of your life. Yet most Americans have forgotten the best ways to sleep. Learning to sleep right can do far more than make you awake each day, refreshed and renewed. With proper sleep you can look better, feel more alive, think and move faster, become more productive, innovative and creative. For sleep is key to body regeneration, the secret to total physical, mental, social and spiritual health and well-being. 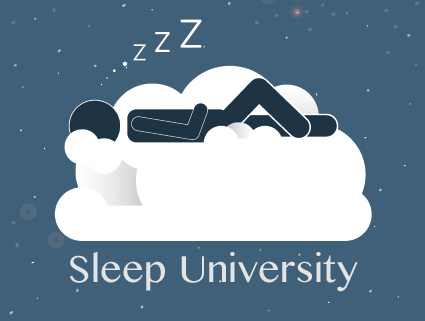 So welcome to the Sleep University. At our sleep school we provide classes and courses, from remedial to graduate level that in as little as hour can give you a new perspective – and let you dream of a new kind of life. It really is time to rest with the best. If you are interested in any of these different courses and seminars, please email dredlund@mac.com, or call 941 365 4308. It’s time to be reborn every day.